Citroën C-Zero, Mitsubishi i-MiEV and Peugeot iOn are equally friendly to environmental and public health since they are three versions of one electric car, according to The Electric Car Guide: Mitsubishi i-MiEV. The names betray differences in configuration, in geography since North American markets only have access to the Mitsubishi i-MiEV, and in trim, not in point-of-use cleanliness. 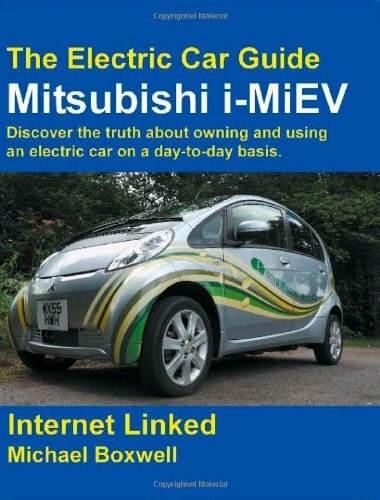 The guide’s information can be fitted to all three versions even though the examples and explanations prioritize author Michael Boxwell’s driving and researching the Mitsubishi i-MiEV. Sections on power stations describe the environmental and public health impacts of coal-, gas-, geothermal-, hydroelectric-, nuclear-, oil-, sun- or wind-generated electricity for the Mitsubishi i-MiEV. They emphasize the health-related consequences of air, not land or water, pollution for people, not for cultivated and wild plants or for domesticated and wild animals. After a debut at the 2003 Frankfurt Motor Show, Mitsubishi i was successfully released in January 2006. In July 2006, 3 1/2 years later, Mitsubishi i-MiEV was launched in Japan. Mitsubishi i-MiEV (Mitsubishi innovative Electric Vehicle): five-door hatchback is electric version of Mitsubishi i. Studies in Canada, France, Ireland, the United Kingdom and the United States find no convincing cause-and-effect relationships between 30-year rises in air pollution and asthma incidences. Asthma specialists give greater likelihoods, as causes, to breathable waste products from dust mites in heaters and insulation and to commercial, industrial and residential cleaning products. Researchers with the American Academy of Allergy, Asthma and Immunology and with Asthma UK have final conclusions on hold since asthma attacks increase in congested traffic. Air pollution from traffic congestion is generated by emissions of carbon dioxide, carbon monoxide, nitrogen oxide and sulphur dioxide from biodiesel-, diesel-, gasoline- and petrol-fueled cars. Emissions from the power stations that generate the electricity that recharges electric plug-in cars such as Citroën C-Zero, Mitsubishi i-MiEV and Peugeot iOn join in polluting. Mitsubishi i-MiEV charges in Dortmund's city center. Electric cars keep emission levels and pollution rates lower when battery recharging times respect off-peak hours from 11 p.m. (23:00 military time) to 7 a.m. (7:00). Michael Boxwell lists daily peak hours for electricity demand in the United Kingdom from 8:00 to 10:30 a.m. and from 5:00 (17:00) to 7:30 p.m. (19:30). The national power grid in the United Kingdom makes correlations between battery recharge times and mini-peak, off-peak and peak usages exact with reports every five minutes. The updates note the level and source of electric power since higher demand results in higher electricity costs and lower electric bills result from lower demand. Michael Boxwell offers respective carbon footprints of 38 and 70 grams per kilometer (2.29 and 2.47 ounces per mile) for off-peak and peak battery recharge times. Electricity from coal-fired power stations pushes the carbon footprint for the Mitsubishi i-MiEV, the innovative Electric Vehicle, to 152.28 grams per kilometer (5.37 ounces per mile). Michael Boxwell comparatively quantifies Toyota Aygo’s and Fiat Panda’s internal combustion engine-generated footprints at 164.46 and 186.70 grams per kilometer (5.80 and 6.58 ounces per mile). The 85 percent recyclability, that will reach 97 percent by 2020, of light, long-lasting, powerful lithium ion reduces unfriendly environmental and public health impacts of batteries. Michael Boxwell says that his Mitsubishi i-Miev family car, driven 8,600 miles (13,840.36 kilometers) from December 2009 until March 2011, cost £7.13 ($11.63) in monthly recharges. He thinks that airy interiors, easy maneuverability, good visibility, high-up seating, six-hour charge times and 93-mile (149.67-kilometer) ranges make the Mitsubishi i-MiEV budget-, environment- and health-friendly. Boxwell, Michael. 25 October 2010. The Electric Car Guide: Mitsubishi i-MiEV. 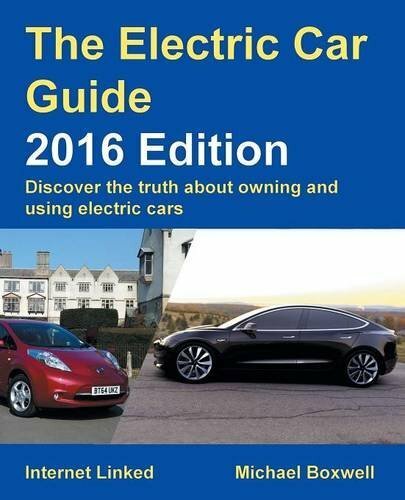 Discover the Truth About Owning and Using an Electric Car on a Day-to-Day Basis. Coventry, England, UK: Greenstream Publishing. Mitsubishi i-MiEV: Mitsubishi's affordable electric car was launched in Japan in 2009 and internationally in 2010. Mitsubishi skipped over a 2015 model but the i-MiEV has returned as a 2016 model. Electric car expert Michael Boxwell brings real world experience, based on a year of daily use with a pre-production Mitsubishi, to this informative guide. sandyspider, So true! A consideration is the source of the electricity. Often we think of these cars as good for the environment. But there is an issue with the batteries.